A young corporal serving in the Korean Armed Forces during the Vietnam War is transferred to the Allied Forces' Criminal Investigation Division in Da Nang. His assignment is to keep an eye on the black market that is flourishing in the country, feeding on the US dollars pouring into an imperialist war. In the thick web of black market dealings, ideals and ambitions cross and collide. Two brothers find themselves on opposing sides of the war. A Korean beauty hopes to buy herself a new life. And the young corporal struggles to remain indifferent, to be able to forget all that he has seen and done when he returns home. 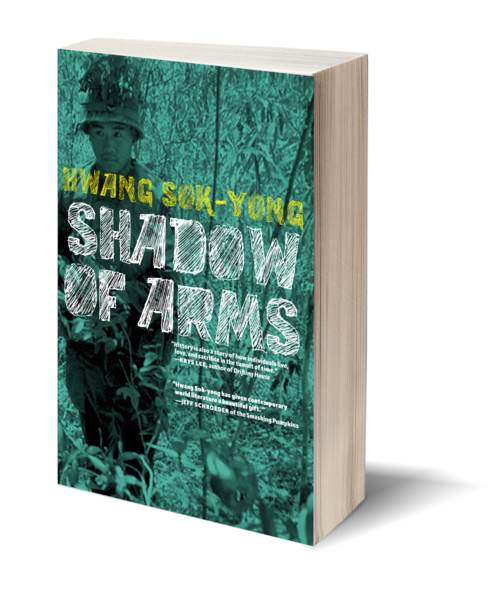 Trafficking, blackmail, profiteering, and hoarding are set alongside the atrocities and brutalities of a hellish war, making The Shadow of Arms different from other Vietnam War novels—lending a wry and compassionate voice to the universal noncombatant.